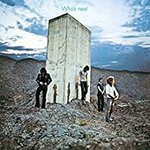 The Who In Full Flight is a beautifully presented collection of previously unpublished photos of The Who from their golden era with the ultimate line-up of Townshend, Daltrey, Entwistle and Moon. Indeed, all the concert photos within come from the band's last two years of gigs with the inimitable Keith Moon and are from the archive of former Record Mirror photographer Steve Emberton. With the exception of a handful they have all been scanned from the original negatives, specifically for this book and never been published before. Having spent most of '74 away from the stage whilst working on the film Tommy, the band returned to touring in October '75 in support of their then latest album, The Who By Numbers that also spawned the hit single 'Squeeze Box'. The eleven UK concerts culminated with three shows at Wembley's Empire Pool and Steve Emberton was there at two of them. The following year the band continued to tour in promotion of The Who By Numbers, albeit mainly in America. However they performed three UK concerts in early summer - all outdoor events at football grounds. The first in London at Charlton Athletic's The Valley, went down in Who history as it resulted in the band being declared the loudest in the world as recorded by the Guinness Book of World Records. This was followed by a gig at Celtic Park in Glasgow. Steve Emberton was there again for the third and final gig at The Vetch Field in Swansea. It would prove to be the last paid gig the band performed to a UK audience with Keith Moon in the band and Steve captured it. In addition to this Steve also took photos of both Keith Moon and John Entwistle outside of the gig environment and this collection includes candid photos of the Who's rhythm section in more relaxed settings with the ones of Entwistle taken in West London in November '76 and with his father in August '77 at Ramport Studios. The Keith Moon shots were taken in October or November '77 at Chrysalis Records. 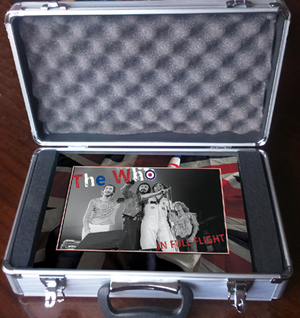 This stunning collection of never before seen photos of The Who is beautifully presented in a hardback landscaped format book within a metal flight case with the book neatly encased in foam. 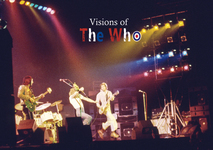 In addition, Tony Klinger, author of the Who tome, Twilight Of The Gods and who co-produced The Kids Are Alright film has contributed a foreword for this exclusive, limited edition coffee table format book. Format: Hardback, A4 landscape, 128 pages. EDITORIAL CONTROL: This book requires total independent editorial control. It has not been authorised or approved by The Who or their management.